Line a cookie sheet with foil and spray. Mix together all ingredients until just combined. Rinse hands and leave them wet. Gently roll meatballs – about 2” in circumference and place on cookie sheet. Bake at 400̊ for 25 minutes. 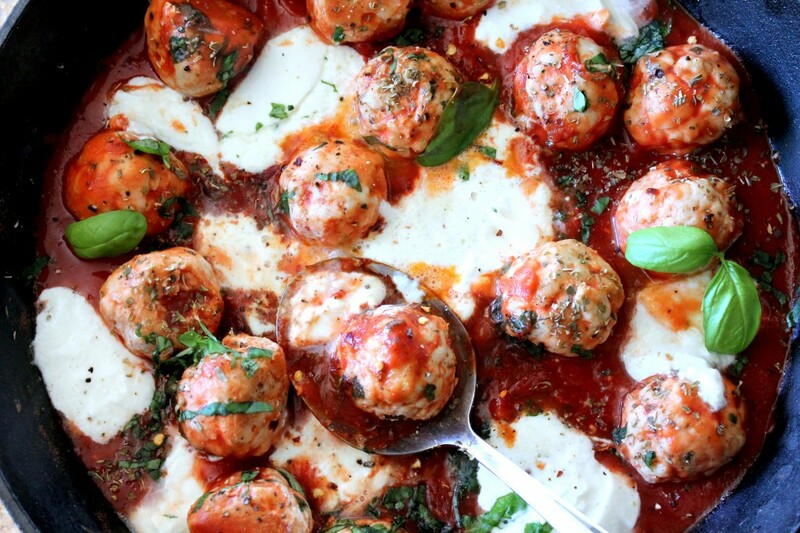 Spray a shallow, oven proof dish, Pour ¾ Jar of Cannizzaro Sauce in and all of the Meatballs. Top with remaining sauce & lots of shredded Mozzarella. Bake at 400̊ until melty & bubbly and serve as an appetizer.